Kim Rosenblum is Chief Creative Officer and Executive Vice President, Marketing and Digital Studio, for the Nickelodeon Group, which encompasses the brands and platforms of Nickelodeon, Nicktoons, TeenNick and Nick at Nite. Based in New York, Rosenblum oversees consumer marketing; brand creative for Nickelodeon’s animated and live-action series and events; plus digital and social media, including Nickelodeon’s contributions to the Viacom Digital Studios. Rosenblum joined Nickelodeon as Chief Creative Officer in 2016, bringing a renewed commitment to innovate marketing, to reach the Nickelodeon audience on all platforms and bring new viewers to the network. 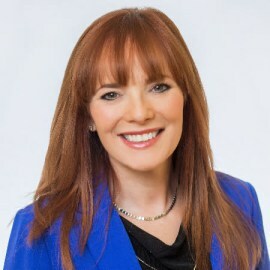 During her tenure she has unified the creative, marketing and social teams to execute strategic, 360-degree campaigns for the network’s slate of original series, top-rated movies and tent pole events including: the reimagined Rise of the Teenage Mutant Ninja Turtles; the return of Double Dare; and Kids’ Choice Awards. Notably, she was responsible for the creative conceptualization and execution of Nickelodeon’s lauded brand refresh in 2017, which rolled out across all platforms and was adopted by all international channels. She also oversaw the Emmy-nominated “That’s Me” brand campaign, and the marketing campaign for the Broadway debut of SpongeBob SquarePants: The Broadway Musical. Rosenblum joined Viacom in 1993 where she held various leadership and creative positions including Nickelodeon Networks’ Off Air Creative Director through 1999. In that role, she was a key member of the leadership team that conceived, built and launched the TV Land network, a spin-off of Nick At Nite. Rosenblum went on to become Executive Vice President, Marketing & Creative, TV Land, where she oversaw the launch of Hot in Cleveland, TV Land’s first scripted original series. She was also a key player in the TV Land rebrand, and oversaw all marketing efforts for the network’s lineup of original series including, The Jim Gaffigan Show and the breakout hit Younger. Rosenblum began her career with a fellowship with the International Radio and Television Society. She held a number of positions in commercial production and with advertising agencies before coming to Viacom on a freelance assignment in 1993. Rosenblum received a B.A. in Communication Studies and Spanish from The University of Iowa.